Meghan Markle and Prince Harry are revealing just how successful their virtual baby shower was. On their newly-unveiled Instagram account, the Duke and Duchess of Sussex are sharing the fruitful results of the donations made to the Lunchbox Fund, Little Village HQ, WellChild and Baby 2 Baby. According to the royals, the donations made are now providing 100,000 meals to children in need in South Africa, over 300 hours of "specialist care" for families in need and over 5,000 products that Baby 2 Baby will donate around the world. Not to mention the fact that Little Village HQ is now able to provide more support for their staff and people in need. "Their Royal Highnesses wanted you to know the impact of your support – the direct effect your donation, energy, and action made! YOU chose to be part of the collective good, and you have made a real difference," the official account acknowledges. "And on behalf of The Duke and Duchess (and Baby Sussex), we thank you so much." 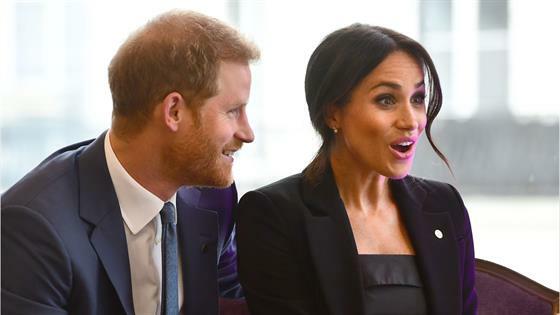 Prince Harry and Meghan kicked off the global baby shower on April 5, in a statement where they shared, "In lieu of sending gifts, the couple have long planned to encourage members of the public to make donations to select charities for children and parents in need." Prince Harry & Meghan Markle's Instagram Shatters World Records! Moreover, the couple could truly ask for nothing more. Over the course of their travels across the globe, the Duke and Duchess were gifted quite a few presents from political figures and well-wishers alike. Now that the former actress is nearing the final days of her pregnancy, she and the Prince have settled into their newly-renovated home at Frogmore Cottage, just a stone's throw away from the Queen's preferred residence on the Windsor grounds. The 10-bedroom home is the perfect place for the 37- and 34-year-old to start a family. In just a few weeks time, baby Sussex will make it's highly-anticipated arrival and people cannot wait to welcome the little one.